Yes, there will be a new farmer's market in town. 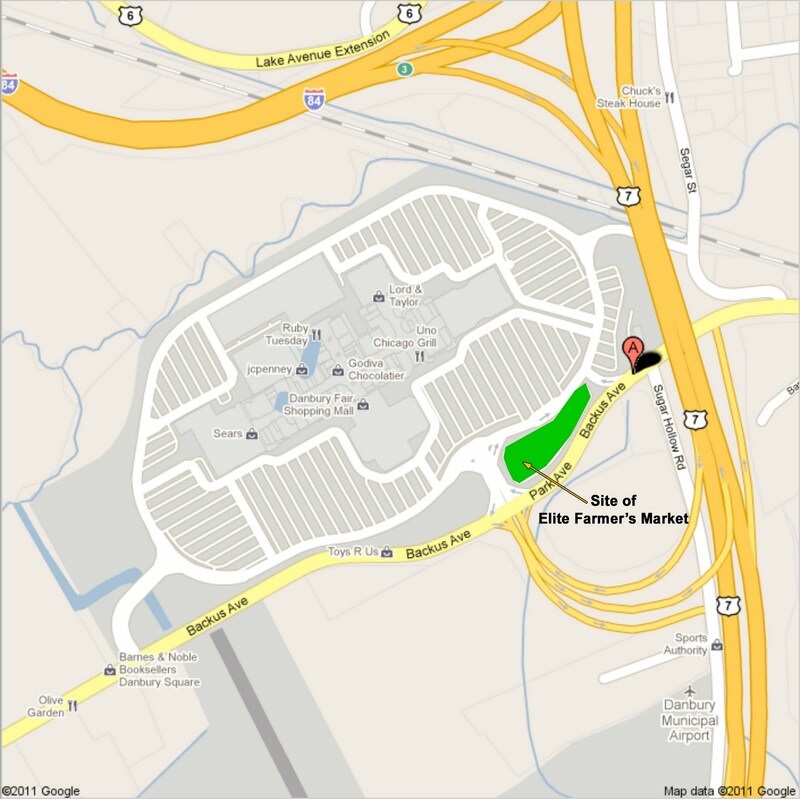 Starting June 1st, the Elite Farmer's Market will be at the Danbury Fair Mall every Wednesday and Saturday from 10am to 2pm. The market will run until October 29th. And it's going to be big. With 35 to 40 vendors, it will be the largest farmer's market in the state. I had a chance to chat the other day with Tony and Melanie of Elite Farmer's Markets, LLC. Borrowing on the models of New York's Green Market and the San Francisco Ferry Building Market, their goal is to create a unique experience, encompassing the very best produce vendors, dairy, meat and fish purveyors, bakers, artisan food makers, and prepared food merchants in an outdoor setting. "Malls attract so many people and have so much space. 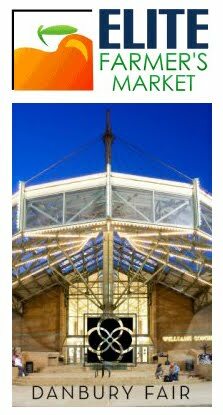 We thought let's marry a really terrific upscale farm market with the Danbury Fair Mall and see if it works," said Tony. "It's a win for farmers because all of them are looking for larger markets and more people. It's a win for the mall because the mall wants to put itself in the middle of the community. And, it's a win for the consumer because this gives access to fantastically fresh local food." Danbury will be the first market for Elite. If successful, they hope to bring Elite Farmer's Markets to shopping malls in other towns. "There really wasn't any sort of brand in farmers markets," said Melanie. She went to explain that many times you never know to expect in the farmer's market experience. Some are small, some are large and they are organized by all different groups. The idea with Elite Farmer's Markets is to create a brand so that no matter where it is located when people see the name they know what to expect in terms of the high quality, large size, and scope of the vendors. Using the word "elite" in the name refers to the high quality and the best experience, not to be confused with overpriced and expensive. Melanie said they made sure there would be vendors to fit all types of budgets. The vendor list is impressive: Produce, bread, honey, meat, seafood, dairy, grains, flowers and plants, desserts, snacks, olive oil, soaps, baked goods and more. Click here for the complete vendor list. The market is sponsored by Ball and there will be a special Ball tent at the market where you can catch canning demos and buy canning supplies. In addition, there will be children's activities, demos on cooking, planting and composting and an information tent where you can learn about topics like why it's important to buy fresh food, how to be more sustainable, etc. With the opening of this farmer's market, it looks like getting healthy, delicious, local food in Danbury just got easier. I'll still be a regular at the CityCenter Farmers Market (which is on Fridays), but I cannot wait to check out the Elite Farmer's Market. I hope I'll see you there. 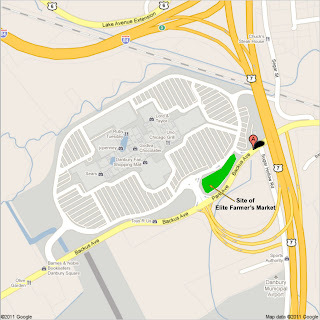 By the way, you can follow Elite Farmer's Market on Twitter (@efmarkets) or catch up with them on Facebook. I agree. I love that it is going to be twice a week. Went to this wonderful market for the first time today. I wish it ran all year! What a great place to enjoy something very unique on a Saturday. It will be a regular shopping routine for me for the rest of the summer.